Rumoured couple Arjun Kapoor and Malaika Arora were spotted catching for dinner in Mumbai last night. 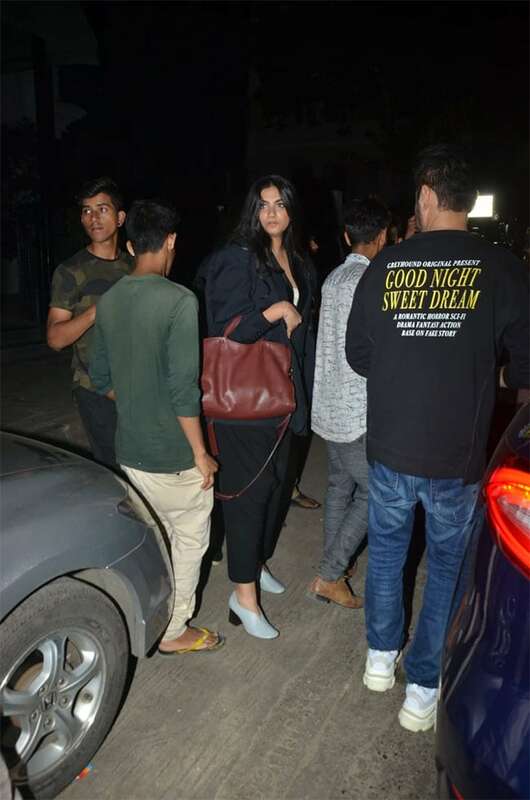 The rumoured couple were accompanied by Karan Johar, Sanjay Kapoor and wife Maheep, Rhea Kapoor and designer Kunal Rawal. The flashbulbs popped incessantly as the group was spotted exiting the suburban restaurant. Malaika Arora was dressed in a black leather skirt and white tee while Arjun Kapoor was casually dressed for the occasion. 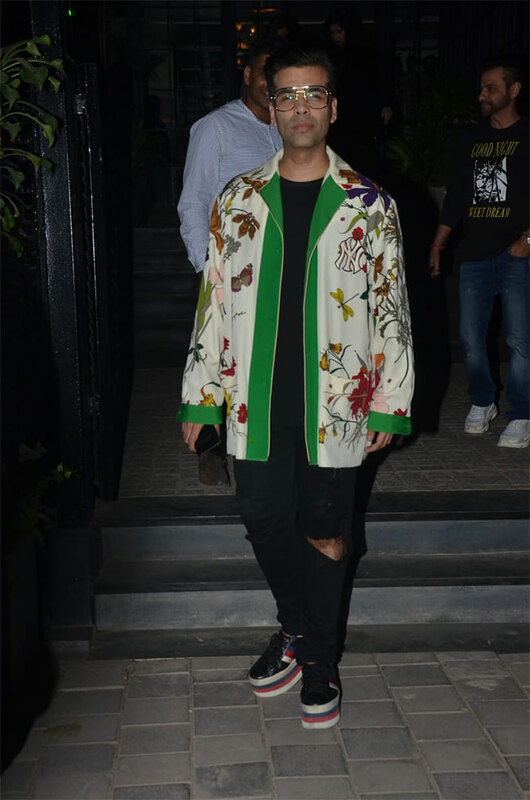 Arjun was spotted hiding his face under a mask when he stepped out of the restaurant; perhaps to keep his new look for an upcoming film a secret. 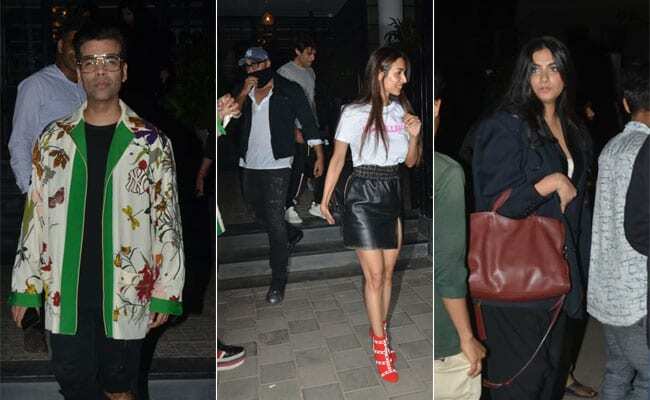 Arjun Kapoor, Karan Johar and others followed Malaika as they left the restaurant. Malaika Arora and Arjun Kapoor exiting the Mumbai restaurant. Karan Johar spotted outside the restaurant. Rhea Kapoor outside the restaurant. Designer Kunal Rawal exiting the restaurant. Earlier, Arjun Kapoor's aunt Maheep Kapoor shared a picture from a pre-Christmas party, which was apparently hosted at her restaurant. Arjun Kapoor and Malaika Arora positioned themselves in the centre of a group picture, which also featured Kareena Kapoor, Amrita Arora, Anu Dewan, Seema Khan and Sophie Choudry. Arjun Kapoor and Malaika Arora have been trending for days now and for more than one reason. The rumoured couple were on the trends earlier this month after were spotted exiting a Mumbai restaurant after dining together. Few weeks ago Arjun temporarily joined the judge's panel with Malaika on India's Got Talent. A picture of Arjun taking Malika to the stage by her hand went crazy viral. Recently, a Filmfare report started that the couple are going "steady" and they have also decided to take a step ahead and that they will reportedly get married next year. However, the rumours of their speculated wedding have been dismissed by both Arjun and Malaika. On the work front, Arjun Kapoor was last seen in Namaste England, which tanked at the box office. The actor will next be seen in Sandeep Aur Pinky Faraar, co-starring Parineeti Chopra. He also has India's Most Wanted and Panipat in the pipeline. Malaika Arora is currently seen as the co-judge of the reality television shows India's Got Talent and India's Next Top Model Season 3.